All crane hire companies are not created equal! Boland Cranes was established in 2003 by Pat Boland. 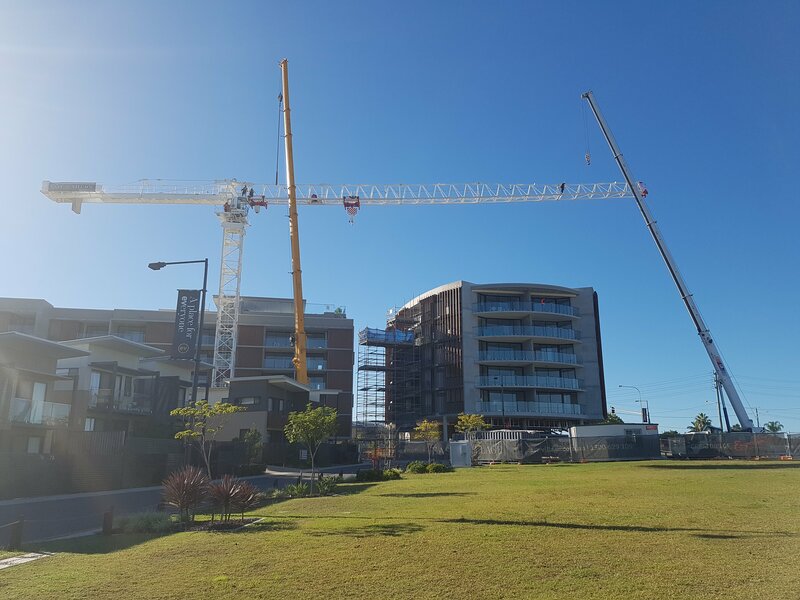 Boland Cranes remains a family owned business operating from Brisbane’s northside and servicing most of Qld including the Gold Coast, Brisbane City, Sunshine Coast and up to North Qld. We pride ourselves on delivering experienced operators and dogmen, in addition to quality cranes and lifting equipment. Smooth and efficient project delivery is of extreme importance as is Workplace Health and Safety. As part of our service, we work closely with you to ensure all aspects of our involvement are carefully planned, scheduled and executed. To speak with one of our friendly staff, please contact Boland Cranes. We are more than happy to discuss your project needs. We are a tower crane/self-erecting tower crane hire company servicing all of Qld to northern NSW.